Since May 2013, violent insurgencies by Boko Haram have led to widespread displacement and an escalating humanitarian crisis in the Lake Chad region. According to the United Nations High Commissioner for Refugees (UNHCR) figures, nearly 1.4 million people have been internally displaced in northeast Nigeria alone, and approximately 170,000 people have fled to neighbouring Cameroon (56,000), Chad (14,000) and Niger (100,000). At least 1,300 people have died so far this year. Many of the casualties include children, and several cases of abduction and sexual abuse of women and girls have also been reported. Internally displaced persons (IDPs) have been seeking refuge and basic services among local communities, which already had scarce resources. Médecins Sans Frontières (MSF) has deployed medical teams to assist the displaced and local populations in the four affected countries. Insecurity remains the main obstacle to operate safely, while the rainy season is now bringing additional logistical challenges. Borno State remains the epicentre of the current conflict and the situation continues to be extremely volatile and tense. Random attacks occur regularly, mostly targeting civilians. "Boko Haram attacked our village at night, around 10 pm,” recalls Fatima, 45 years old. “Armed men entered the houses and burnt them down. Many people were killed. My sister was kidnapped, and I haven’t heard from her since. We fled into the forest and walked for 24 hours until we found a road and transport to Maiduguri." Hundreds of thousands displaced persons live today in Maiduguri, Borno State’s capital, and more arrive every day. The majority is supported by local communities, while around 100,000 IDPs are gathered in 22 camps around the city. MSF has opened three primary health care clinics, covering around 35,000 people. The organisation also runs a 72-bed hospital in Maimusari, which includes a 12-bed maternity unit and 60 beds for paediatrics, nutrition and intensive care. Regular donations are also made to local hospitals in order for them to deal with mass casualties following bomb attacks. In Cameroon, the security situation along the border with Nigeria remains volatile, with regular incursions and attacks by Boko Haram. Refugees continue to arrive on a daily basis in the camp established by national authorities in the Extreme North region. Two suicide bombings occurred in the city of Maroua on 22 July and 25 July, generating a large number of casualties. MSF provided support to local health authorities to treat the wounded. “Boko Haram fighters attacked our village in the middle of the night,” says Esther, 24, from Nigeria. Some 45,000 refugees currently live in Minawao camp where MSF collaborates with national authorities and other humanitarian agencies to provide primary health care, water and treatment for malnutrition. MSF today provides 55 percent of the water in the camp and is carrying out more than 2,300 medical consultations monthly. MSF is also present in Kousseri, at the border with Chad, where tens of thousands of IDPs are scattered around the city. To respond to their needs, MSF teams are providing surgical support to the hospital and are also starting paediatric care to treat malnutrition and malaria. Between Chétimari and Gagamari, 17000 refugees from Nigeria have settled after fleeing their village, Damasak, from the threat of attacks from Boko Haram group. In Chad, insecurity in the Lake region showed a marked increase in July. Attacks by Boko Haram became more frequent and in response, the Chadian military has expanded its presence in the area. An estimated 40,000 have been displaced in the last two weeks alone, and people are gathering in various makeshift sites in Baga Sola and Bol districts. MSF has been working since March in the region and is running mobile clinics near Baga Sola while supporting the Chadian Ministry of Health in Tchoukoutalia. Teams are also providing mental health care in the Dar Es Salam refugee camp in Baga Sola, home to around 7,000 refugees from Nigeria and Niger, according to official figures. In response to the latest wave of displacement, MSF has commenced a mobile clinic in Yakoua and will soon begin one in Koulkimé. 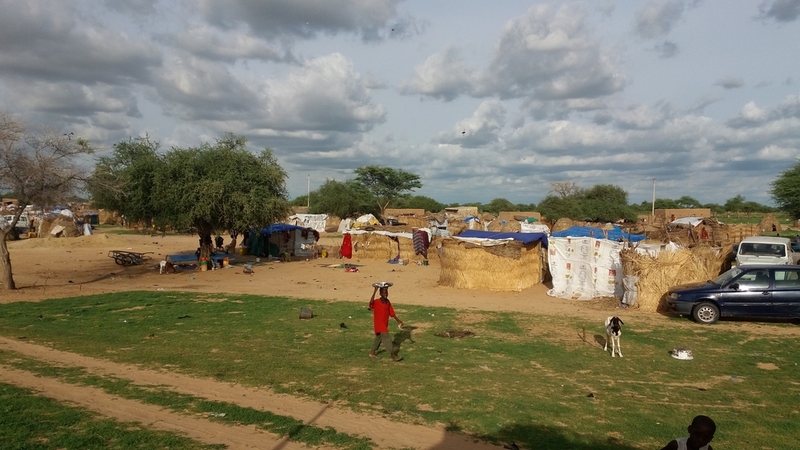 “Women and children are particularly vulnerable in this situation, and medical needs in general are high,” says Federica Alberti, Head of Mission for MSF in Chad. In the capital N'djamena, MSF supported Ministry of Health hospitals following suicide bomb attacks that took place on 15 June and 11 July. Since April, MSF has been training Ministry of Health staff on management of mass casualties, in order to help increase the national capacity to respond to emergency scenarios. In southeast Niger, the already fragile humanitarian situation has been aggravated by the escalation of the ongoing conflict and the consequent waves of people escaping the violence. The living conditions of this displaced and refugee population – who have little access to healthcare, safe water and sanitation facilities – are critical. The situation could deteriorate further during the ‘hunger gap’ period, when community food stocks are drastically reduced between harvests. This year, the combined effect of violence and restrictive measures is affecting normal trade and making food even scarcer. Moreover, the rainy season is now causing an increase in water-borne diseases such as malaria and diarrhoea that, combined with malnutrition, are particularly dangerous for young children. 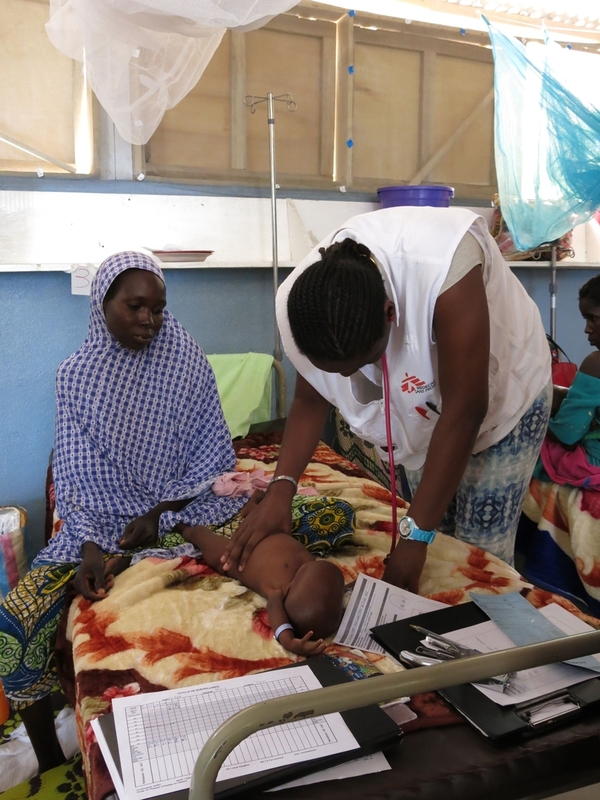 To improve access to healthcare, MSF is supporting the main maternal and paediatric medical centre in Diffa city as well as six health centres in the districts of Diffa, Nguigmi and Bosso. In parallel, MSF is running mobile clinics inside two IDP camps in the Diffa region, carrying out water and sanitation activities and distributing 25,000 mosquito nets. Around Diffa, MSF teams are now assisting approximately 28,000 refugees recently arrived from Nigeria in Chetimari, Gagamari, and Assaga. Local health facilities are overwhelmed and access to water and sanitation is often insufficient. Since beginning of the activities, MSF has carried out more than 30,000 consultations, including around 20,000 for children under five.